The quality of the care provided to your trees determines their health and lifespan. Trees that are left on their own are much more susceptible to disease. It is very important to consider the needs of your trees when making decisions regarding their care. An Arborist is a highly skilled professional, trained with the knowledge to meet the specific needs of each tree species. They are capable of determining the correct treatment at every stage of tree life, and can assist you in learning what you can do to keep your trees at optimum health. Improved care and nurturing can help ensure that your trees are around for many years. Unfortunately the same level of services can’t be obtained by hiring tree loppers. The level of training that they receive is very limited, and they do not achieve any level of certification for tree care. Although their services are generally less expensive up front, they can result in higher costs to you due to damage that results from improper care and handling. Tree lopping usually doesn’t involve any sort of diagnostic services, and is very limited in scope. They lack the expertise to be able to make recommendations that can actually benefit the health of your trees. Follow up care is essential to the health of your trees. It involves an investment of time and energy. An Arborist is trained to monitor your trees’ development and recognise issues before they have advanced to a stage where treatment becomes more difficult. Hiring an Arborist gives you the peace of mind to know that your trees are healthy and well-cared for throughout their lives, and you’ll be supplied with all the knowledge that you need to meet your trees’ needs to ensure that they are always met. When necessary, the Arborist will make follow up visits to check on your trees’ progress to make sure that their recovery is swift. Additional care will be provided and you’ll receive up-to-date information about your trees’ progress. The tree lopper is not trained to provide the same level of tree care. They have a short term vision for their involvement with your tree care, and are much more concerned with getting paid and moving on to the next customer. They do not develop long term plans for improvement of your trees and are disinterested in your trees’ futures. Their lack of continuity with their services decreases the overarching value of them. Arborists offer long term record keeping so that the history of services that your trees have received are recorded for future reference. This helps to build a mechanism for continuity of follow up care, regardless of which Arborists provides the care. An Arborist’s primary concern is for the long-term health of your trees. They provide this by monitoring your trees’ health and growth, and providing treatment where necessary. The certification that the Arborist achieves guarantees that they have demonstrated proficiency and knowledge of tree care. 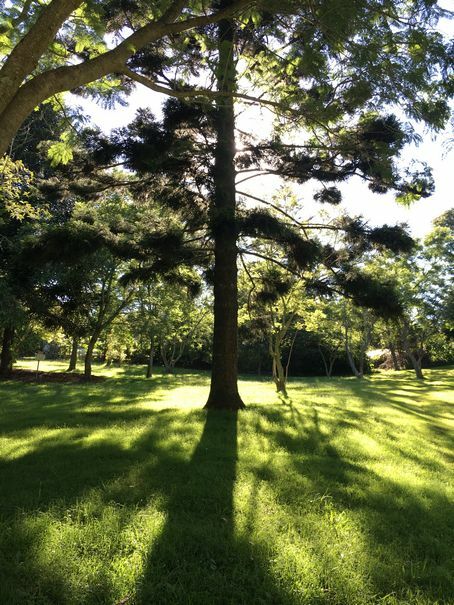 Arborists are committed to a long term vision of health and wellness for your trees, and they have the knowledge to provide the high quality services needed to achieve that vision. Your trees deserve the highest quality of care. Healthy, mature trees not only add beauty to your property, they also increase the value of your property and its desirability to potential buyers. Proper care and handling will help to prevent avoidable health issues, and will ensure that your trees are around for your enjoyment for many years to come.